Our Hydra-M Advanced Mineral Face Mask base is so much more than just for the face. It is a diverse base that benefits the skin all over the body. Provide your customers a luxurious all over body mask that is tailored for their specific needs. Try it out! 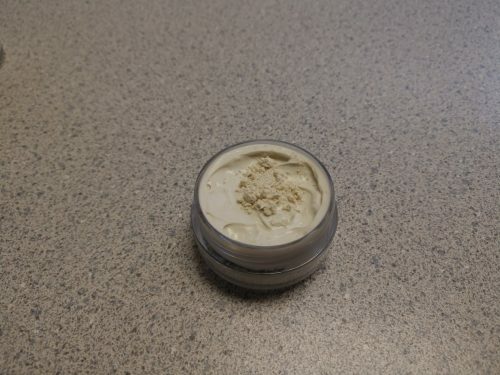 Our hydra-M face is a wonderful blank canvas that takes additives well. Body masks and treatments are growing in popularity as well as evolving and being adapted for a plethora of different uses. Masks are currently being used for everything from improving complexion to post workout and sore muscle therapy. 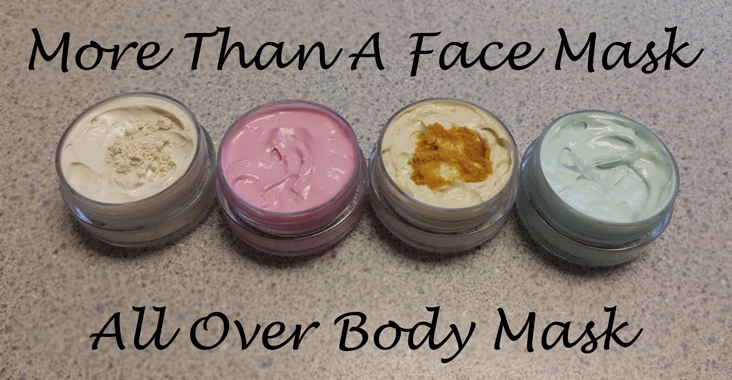 Our formula is creamy and thick, and ready to use as is, with kaolin, a neutral clay that is compatible with most skin types, s right off the bat you are starting off with a stand-up base. Now have fun and change it up a little! Where Can A Mask Be Used? The question is where can’t you use a glorious skin mask? Summertime has arrived and, believe it or not, masks for the buttocks are a growing trend, used to improve the complexion of the bikini bum. Masks are also great for the legs, to soothe skin after shaving. Use a mask before a shower on the chest and arms, or anywhere extra moisture is needed. Another area that benefits from a mask is the hands, which are overused on a daily basis. Just a few ingredients that can be added to our base. 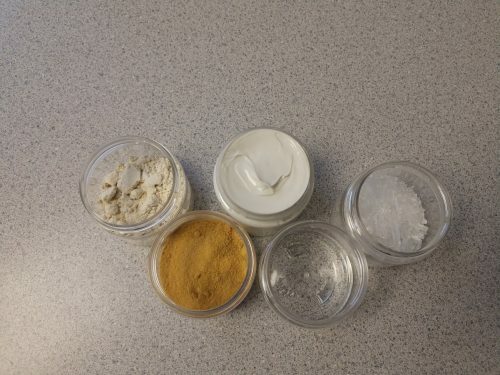 (left to right) colloidal oatmeal, pumpkin powder, extract, menthol crystals. Lemon peel mask scented with Fresh Peach fragrance oil. 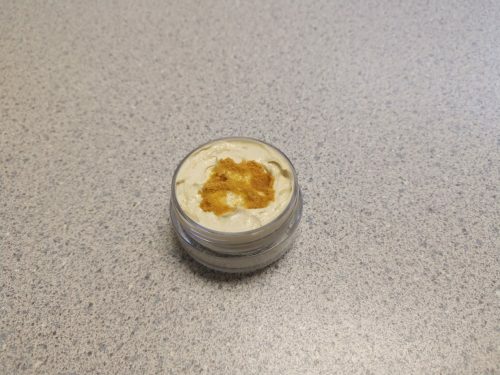 Add our Lemon Peel Extract for a bright, smooth complexion, wherever you see fit! Scent your bum mask with sweet summer peach or tropical coconut to get customers into the bikini mood. Encourage customers to use it before a shower, or anytime even, as the mask is easily wiped off with a damp towel. 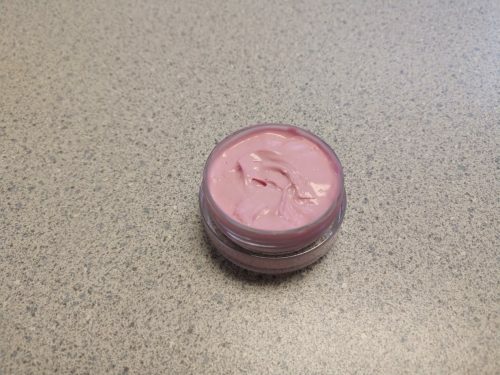 Afterward, apply our Hyaluronic Acid Face Gel Cream to those rosy cheeks for a beautifully smooth derriere! Lavender and oatmeal mask for after sun care. Summer is here, and for those days when skin has been exposed to the sun for long periods of time, a soothing body mask can really come in handy. Add lavender extract and colloidal oatmeal to our Hydra-M Mask for a soothing sensation. Colloidal oatmeal moisturizes skin while lavender extract calms inflammation. Post workout leg mask with tightening algae extract and cooling menthol crystals. 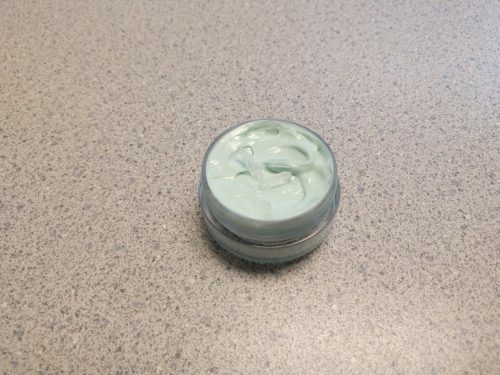 Algae extract is known for its tightening effects on the skin. Menthol crystals can even be added as well to combat achy muscles. Simply have your customers apply it on after a workout, leave it on for 10 minutes, and then rinse it off in the shower. Cooling menthol will sooth those post-workout muscle aches. Mask made with pumpkin powder. Who thinks pumpkin in the summer? We do! Pumpkin powder is a wonderful additive with great benefits, year round. It is rich in skin-loving vitamins A and C. Not only does it nourish the skin, it also acts as a carrier for drawing moisture into the skin. This mask should be left on the skin for 5 minutes before it is rinsed off. The mask will naturally take on the smell of fresh cut pumpkin from the powder, and who doesn’t love that?